Whenever anyone asks me for advice on going vegan, or even just to start eating healthier, this is what I tell them: Buy a few vegan cookbooks and try at least one new recipe every week. Over time, you will build up a repertoire of vegan recipes and you won’t feel like you are “missing out” on anything. Whether you are a vegan looking for new inspiration for recipes, or are an omnivore who wants to cut down on meat and get healthy, here are the top vegan cookbooks that everyone should own. 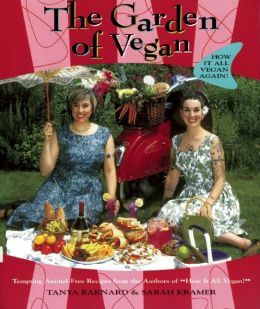 How It All Vegan was first published in 1999 and quickly became a cultural phenomenon because it had so many delicious recipes and because it made vegan cooking fun and easy. The original cookbook has now been updated so it has a lot more information and more yummy recipes. I love that it has a guide to vegan ingredients (in case you were wondering what agar-agar or galangal are) and also has a list of animal ingredients found in packaged foods. There is a HUGE selection of recipes here, all of which are doable by beginners but still inspiring enough for the more experienced vegan cook. Some favorites are raspberry fig breakfast bars, lemon poppy seed shortbread, fake feta, and walnut burgers. Oh, and there are a LOT of dessert recipes here for vegans with a sweet tooth. This is a newer vegan cookbook (from 2013) and is already a classic. It is great for all people but the recipes are really created with the super-busy, not-so-kitchen-savvy person in mind. All recipes are supermarket friendly, so you won’t have to spend hours searching through specialty stores to get some weird type of algae or root powder to make these delicious recipes. Oh, and the cooking time is super fast. Some of the recipes include pureed split pea and rutabaga soup, beefy asparagus stir-fry with fresh herbs, and apple avocado salsa. This one is also by Isa Chandra Moskowitz, but the recipes are a bit more time consuming and advanced than those found in Isa Does It. I love it because it covers virtually everything from staple proteins like seitan, tempeh and beans to a huge a variety of grains and even has a section for “mix and match vegetables.” Some of the recipes you will love from this vegan cookbook are chocolate chip brownie waffles, caramelized onion-butternut roast with chestnuts, and Baja-style grilled tempeh tacos. Most of the recipes are easy but there are enough advanced ones to satisfy even the most adamant vegan foodie. 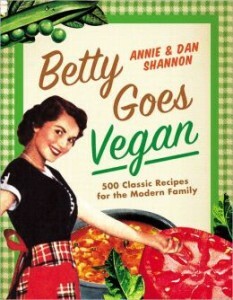 This cookbook was a huge hit and got lots of attention from vegans and omnivores alike. Aside from the edge title, the book’s popularity probably has to do with the fact that all the recipes are easy to make and healthy (nutritional breakdowns are included). There are all lots of gorgeous photos for the recipes. I also like that the recipes include “switch out” options. If you are completely new to vegan cooking, then this is a good place to start. The recipes are pretty basic but often include some interesting spices which will help newbies expand their palate. Some of the more exciting recipes in this vegan cookbook include Live Cinnamon Rolls, Sea Vegetable Salad, and Mango Gazpacho. 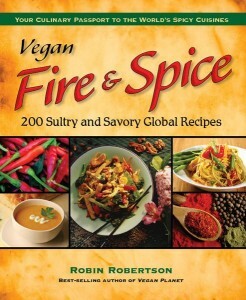 This is a good vegan cookbook for people who are looking to branch out and try new flavors. It has 200 recipes from around the globe. The recipes are even broken down by origin (Americas, Mediterranean, Middle East and Africa, India, Asia). You will find recipes like Jamaican Jerk-Spiced Tempeh Nuggets, Vegetable Tangine with Seitan and Apricots, Quinoa-Stuffed Avocado, and Korean Cucumber Salad. Don’t worry – the ingredients are still easy to find. 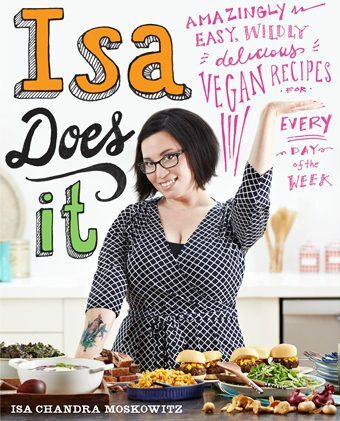 This is the cookbook I’d recommend for people who are just going vegan and are worried about giving up their favorite foods, or what they will eat for holiday dinners. All of the recipes are inspired by Betty Crocker, which means you get vegan twists on classics like scrambled eggs, sandwiches, and pies. The recipes are still pretty exciting (more exciting than anything my mother ever made!) – like the fettuccine with wild mushrooms and artichoke hearts, BBQ chicken nachos, and cream cheese brownie bites. I think every vegan should have at least one raw foods (un)cookbook, even if they aren’t into the whole raw mentality. The reason is because raw foods recipes can inspire you to use common ingredients in ways you might not have thought of – such as using zuchinni strips in place of lasagna noodles or dehydrating eggplant to make “bacon.” I made a list of the top raw foods recipe books here. If I had to choose just one of these, it would be Ani’s Raw Food Essentials because she gets so creative with the food but the recipes are still easy to make. Ready to tackle vegan baking? 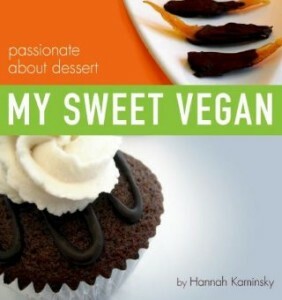 This vegan cookbook is full of delicious recipes for sweet tarts, cookies, cupcakes, and more. Just reading through the recipe list will make your mouth water with names like zesty cranberry crumb muffins, almond avalanche bars, orange hazelnut biscotti, and caramel macchiato “cheese” cake. Here are Some other CookBooks you May also Consider. Angela Liddon of Oh She Glows is one of the most renown vegan food bloggers out there. In 2014, her long-awaited cookbook was finally released and includes over 100 delicious, healthy, and crowd-pleasing recipes that you don’t have to be a culinary genius to make. 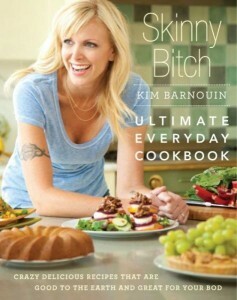 The recipes are also allergy-friendly with about 85 gluten-free recipes. Most recipes are soy-free too. One of the biggest criticisms of vegan food is that it is bland and boring. With this Flavor Bible to guide you, no one will ever make that complaint about your cooking! The book isn’t so much a recipe book as a guide to maximizing flavor and has lists of “vegetarian flavor matchmaking.” The core of the book is the A-to-Z list of herbs, spices, and seasonings. There is also a lot of good info about the history of vegetarianism throughout the ages. From the vegan community Thug Kitchen, this cookbook takes a no-holds-back approach to vegan fare. The recipes are all very simple and quick to make, but packed with flavor. This is the ultimate cookbook for vegans who know they should eat their kale, but are tired of preachy foodies and health nuts telling them to eat boring food. Got allergies? This vegan cookbook contains over 150 recipes, all without gluten or soy. The first two chapters address the Why and How of vegan cooking, giving good advice on stocking your pantry, prep work, and dealing with social situations. The third chapter has recipes divided into categories like Baked Goodness, Toppings, Spreads, Sides, and Beverages. 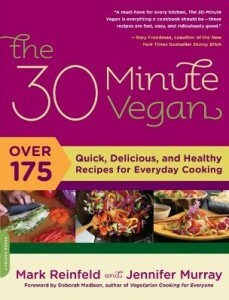 Written by yoga rockstar and vegan activist Sharon Gannon, this vegan cookbook lives up to its name. All of the recipes are very simple to make, but many incorporate an interesting ingredient that you might not have thought about in order to give the recipes more flavor and excitement. I like that there are is an entire section on grain recipes including kasha, millet, quinoa, and rice. Also included is 30 sample menus. This vegan cookbook is a great choice for vegan newbies or vegans who are turned off by all those weird health food recipes. The recipe selection consists of a lot of veganized versions of everyday foods, and dishes for people who “hate vegetables.” This is definitely the cookbook for people who think they will miss their favorite non-veg foods on the vegan diet because it has an entire chapter on “cheesy” and “meaty” vegan dishes. If you are tired of eating the same ol’ thing every day, then this vegan cookbook will shake things up a bit. It includes recipes from all around the world which are organized by country or region. Some of the recipes do call for unusual ingredients, but nothing that is too hard to find. Caribbean is one of my favorite foods, so I was especially excited about this vegan cookbook. All the recipes are really exciting as they utilize spices or fruits in ways you would have never thought of before. Good luck picking which recipe you want to make first because they all sound tantalizing! There are also suggested music tracks and book recommendations throughout the cookbook. Which vegan cookbooks did I miss? Any essential ones which need to be added to the list? Let me know!